A stunning sterling silver De Montfort ring featuring sparkling stone set shoulders leading up to a dazzling trio of cubic zirconia. Glamorous elegance, perfect as a gift for a loved one. 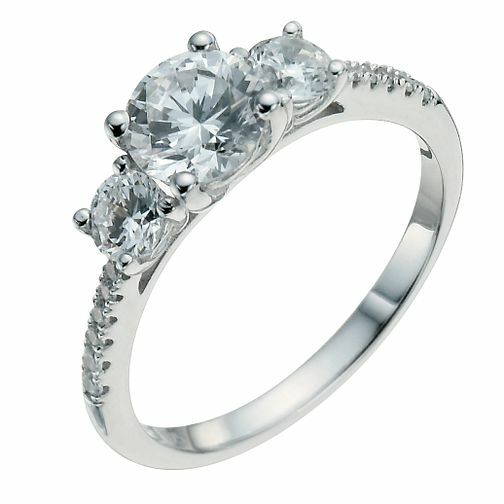 Sterling Silver Cubic Zirconia Trilogy Three Stone Ring is rated 5.0 out of 5 by 5. Rated 5 out of 5 by Anonymous from Exceptional quality ring! Was delighted with this ring. It is great value for the money paid. Prompt delivery and overall excellent service from Ernest Jones.